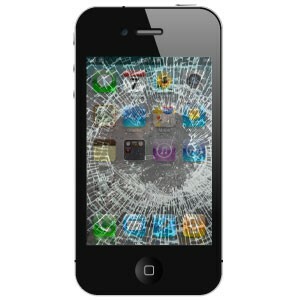 www.betterbuyinsurance.co.uk are offering low cost comprehensive mobile phone insurance that covers all phones including the iPhone 4, iPhone 4S iPhone 3GS, HTC Desire & Samsung Galaxy S2. Be careful of taking up mobile phone insurance bundled with a new contract phone. After a free or cheap introductory offer you may well be committed to paying every month and quite possibly you’ll be paying over the odds. Don’t pay more. With simple to understand and operate insurance policies and no monthly payments to worry about we are confident you’ll be satisfied with the insurance cover you get from Better Buy Insurance. Blackberries are also covered by the fully comprehensive mobile insurance from Better Buy Insurance. There are three levels of cover to choose from starting from just £19.99 for a whole years coverage which covers your Blackberry for accidental damage. One of the reasons we have chosen to recommend Better Buy Insurance is that they offer the best of both worlds. There is no monthly charges (which can really mount up with other suppliers) – you just pay once for 12 months. However if for any reason you want to cancel, you can do so and get a pro-rata refund. You better had buy mobile insurance!. The true cost or replacement cost of a smart phone can be in the region of £500 (because handset costs are subsidised by the monthly costs of contracts). So for real piece of mind, have a look at www.betterbuyinsurance.co.uk today and get yourself some great value, fully comprehensive mobile insurance.